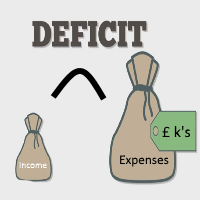 The report by the Kreston academies group found that half of the schools had an operating deficit last year, with only stringent cuts and the sharing of resources within multi-academy trusts (Mats) stopping the figure from being higher.The group said that while the average deficits at academies fell in 2018 compared with 2017, further spending reductions would be much harder to achieve, and uncertainty was being caused by higher pension contributions, increased teacher pay and crumbling school infrastructure. The survey found that financial pressures were driving standalone schools and small trusts to seek shelter within larger multi-academy trusts, and the average trust had grown from 3.5 schools per trust two years ago to 5.6 schools now. Tuckett predicted that the trend for consolidation into larger trusts would continue while financial pressures remained. “With the weak financial position of schools in the maintained sector, it is likely that more schools and single academies that are failing financially will convert to become an academy as part of a Mat. Fortunately, there are many Mats that take this responsibility seriously and are willing to help.